Setup your background, setup your light(s), put your camera on a tripod. Get a volunteer and stand them where people will be standing. Shoot some test shots till everything is to your liking. Optional: If you like to tinker with manual mode, we recommend shutter speed: 1/60, aperture: 5.6 or greater and ISO 1600 or less. Adjust flash power to match these settings. Otherwise, put the camera on Program or Auto mode. 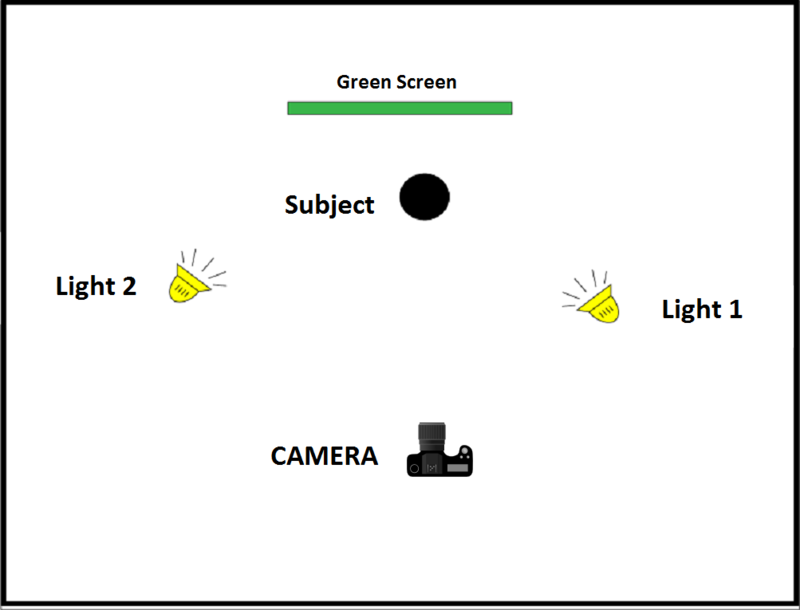 If you're doing green screen, we recommend the lighting setup below to avoid harsh shadows. Use LED lighting. It is easier than Speedlights and the results are much more consistent throughout.